According to the American Academy of Pediatric Dentistry, your child's first dental visit should be within 6 months after the first tooth appears, or no later than his/her first birthday. At Smile Castle, we believe that it's never too early to start a lifetime habit of good dental health. If not cared for properly, baby teeth can develop cavities that can cause pain and infection, and if not treated properly, these may adversely affect your child's permanent teeth. During the baby wellness checkup, we will perform a comprehensive oral examination, give oral hygiene and dietary recommendations, provide anticipatory guidance regarding the development of teeth, and provide guidance towards habit management. Providing comprehensive preventive and therapeutic dental care to persons with special healthcare needs is an important part of the specialty of pediatric dentistry. At Smile Castle, we believe every child is special. But we are aware that some children have individual needs that may require extra care or handling during dental procedures. The American Academy of Pediatric Dentistry defines special healthcare needs as “any physical, developmental, mental, sensory, behavioral, cognitive, or emotional impairment or limiting condition that requires medical management, healthcare intervention, and/or use of specialized services or programs.” Whether your child’s condition is congenital, developmental, or the result of disease or trauma, we can provide guidance and raise awareness of his or her special dental care needs. You can trust that our Smile Castle Pediatric Dental Team is well informed on a variety of special health needs and has had additional training to treat and manage the oral health of such children in a safe manner. 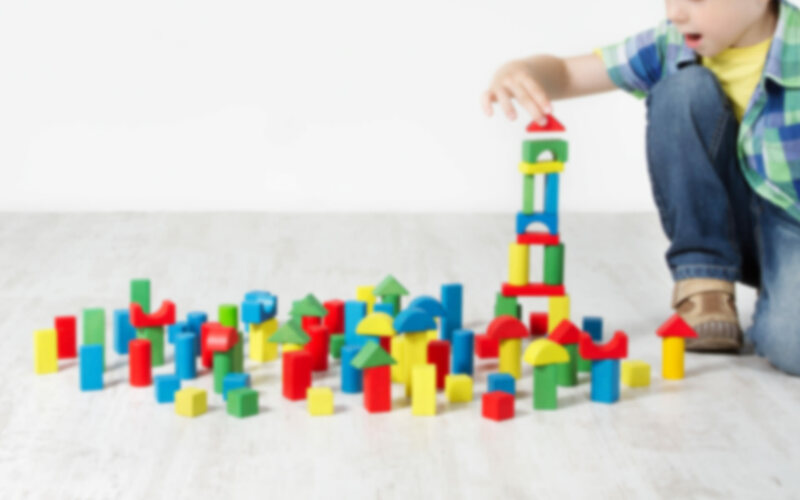 With a proper medical consultation from your child’s pediatricians and/or specialists, we will tailor your child's visit to their unique condition so that your child can receive the proper treatment in the best way. If your child does have special healthcare needs, please call ahead before your first appointment to provide us with specifics as to your situation. 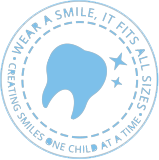 This will help us make sure we are providing the best dental care possible for your child. Facial trauma that results in fractured, displaced, or lost teeth can have significant negative functional, aesthetic, and psychological effects on children. The greatest incidence of trauma to the baby teeth occurs at 2 to 3 years of age, when motor coordination is developing. The most common injuries to permanent teeth occur primarily from falls, followed by traffic accidents, violence, and sports. All sporting activities have an associated risk of orofacial injuries due to falls, collisions, and contact with hard surfaces. The American Academy of Pediatric Dentistry encourages the use of protective gear including mouth guards, which help distribute forces of impact, thereby reducing the risk of severe injury. 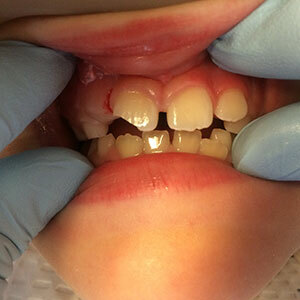 At Smile Castle, we offer comprehensive evaluation and management of acute dental trauma. Please see below for more information and emergency treatment you can do while traveling to our office to be seen. For any dental trauma, please call us immediately so we can get your child in for an evaluation and management in timely manner. 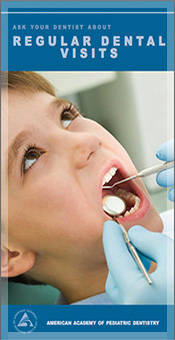 When your child needs urgent dental treatment, your pediatric dentist stands ready to help. Every patient of record at Smile Castle will get an emergency phone number for after-hours. Please keep the emergency number available and convenient. 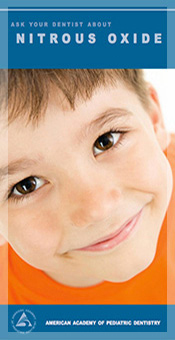 Regular dental visits help your child stay cavity-free. Dr. Hwang will provide an assessment of your child's present oral health and make recommendations to their hygiene regimen to promote and maintain good oral health. This may include the need for supplemental fluoride, dietary modification, or a bite evaluation to address crowding, missing teeth, or impacted teeth. Teeth cleanings remove plaque that can irritate the gums and cause tooth decay. Fluoride treatments renew the fluoride content in the enamel, strengthening teeth and preventing cavities. Review of oral hygiene instructions will improve your child's brushing and flossing habits, leading to cleaner teeth and healthier gums. The American Academy of Pediatric Dentistry recommends a regular dental check-up be at least twice a year for most children. Some children need more frequent dental visits because of increased risk of tooth decay, unusual growth patterns, or poor oral hygiene. After the initial evaluation, Dr. Hwang will let you know the best appointment schedule for your child. Fluoride is a naturally occurring element that has been proven to be helpful in the strengthening of teeth structure and preventing of cavities. Research shows that community water fluoridation has lowered decay rate by over 50 percent, which means that fewer children grow up with cavities. Fluoride inhibits loss of minerals from tooth enamel and encourages remineralization (strengthening areas that are weakened and beginning to develop cavities). Fluoride also affects bacteria that cause the tooth to decay or weaken. Little or no fluoride will place a child at risk of developing cavities. Excessive fluoride ingestion can lead to dental fluorosis, which is a discoloration of the permanent teeth. Dr. Hwang uses caries risk assessment as a tool to formulate a dosage and regimen of fluoride supplements tailored for each child in order to maximize the benefits of caries prevention. Radiographs are valuable aids in the oral health care of our patients. They detect much more than cavities. For example, x-rays may be needed to survey erupting teeth, evaluate the results of an injury, or determine the progress of therapy. 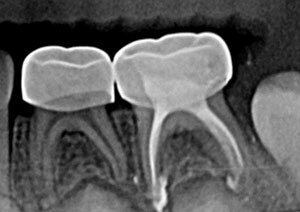 Because each patient is unique, the need for dental radiographs can be determined only after reviewing the patient’s medical and dental histories, completing a clinical examination, and assessing the patient. At Smile Castle, we have digital x-ray sensors, thus less radiation can be used to produce an image. In additional to much lower radiation, the other advantages include time efficiency in processing images and the ability to digitally transfer and enhance images for better diagnosis. 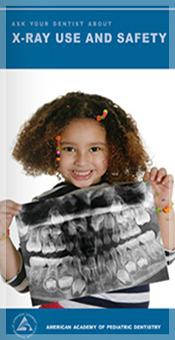 If your child’s previous dentist obtained dental radiographs, please request copies to be sent to Smile Castle Pediatric Dentistry to reduce radiation exposure. A sealant is a white or clear material that is placed on the chewing surfaces of your child's back teeth where most cavities are found. Even if your child brushes and flosses carefully, it is difficult, and sometimes impossible, to clean the tiny grooves and pits on certain teeth. Food and bacteria build up in these crevices, placing your child in danger of tooth decay. In fact, cavities on those deep pits and fissure areas account for approximately 80-90% of all caries in the permanent posterior teeth and 44% in primary teeth. Sealants protect your child's teeth by covering these grooves and smoothing out the deep pits and fissures, and they help food and dental plaque slide off the tooth surface, thus reducing the risk of cavities. Research shows that sealants can last for many years if properly cared for. 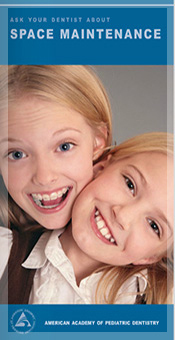 Therefore, your child will be protected throughout the most cavity-prone years. 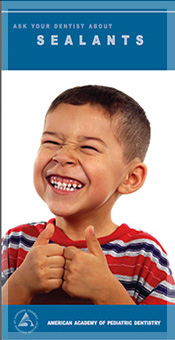 If your child has good oral hygiene and avoids biting hard objects, sealants will last longer. Dr. Hwang will check the sealants during routine dental visits and recommend re-application or repair when necessary. At Smile Castle, we repair the sealants that have been originally placed at our office as a courtesy, so the well-maintained sealants protect your child’s teeth properly. Even children who brush and floss regularly can still develop cavities. If your child has teeth in tight contact with one another or with deep grooves on the chewing surfaces, he or she will have a higher risk of developing cavities. But getting your child's cavities filled doesn't have to be stressful. At Smile Castle, all methods of behavior management are used to make your child's experience as fun and comfortable as possible. 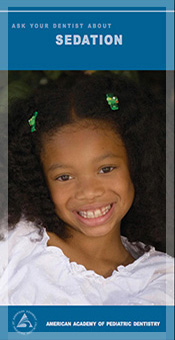 We offer the latest generation of high quality tooth-colored fillings for your child. Composite tooth-colored fillings provide a viable and attractive alternative to silver (or amalgam) fillings, which we do not provide in our office. These subtle restorations blend in naturally with surrounding teeth. When a tooth has deep decay, a developmental defect, or has had a baby root canal treatment, a simple filling may not be enough to restore the tooth. At times like these, your dentist may recommend a crown. Although maintaining the aesthetic quality of your child's smile is important, a porcelain crown is not always the best answer because it requires more tooth structure removal and is prone to fracture. 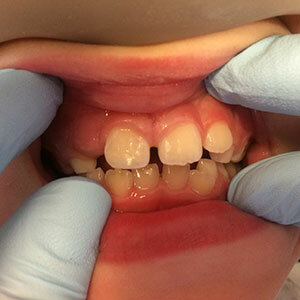 In such cases, we may recommend a stainless steel crown on your child’s back tooth or teeth. A stainless steel crown (SSC) on a back molar tooth is used to re-establish normal chewing function and speech development, and continues to hold the space until a permanent tooth can take its place. The crown will stay put until the tooth naturally falls out. Your child will clean around the base of their crown like they do his or her own natural teeth. Inside of each tooth is the pulp, which provides nutrients and nerves to the tooth and runs like a thread down through the root. Tooth decay and traumatic injury are the main reasons for a tooth to require pulp therapy. Three common forms of pulp therapy in children's teeth are the indirect pulp cap, pulpotomy and pulpectomy. An indirect pulp cap is a thin protective liner of medicine we place on a tooth with a deep carious lesion and a healthy nerve. The medicine stimulates healing and repair of underlying dentin and also reduces sensitivity. A pulpectomy is recommended when the entire pulp of a baby tooth is infected but the tooth needs to stay in the child’s mouth a little longer (until the adjacent permanent teeth erupt into the right place). During this treatment, the diseased pulp tissue is completely removed from both the crown and root. The canals are cleansed, disinfected, and filled with a resorbable material. Then, a final restoration is placed, which is usually a stainless steel crown. Teeth are extracted or removed when they are not savable by any other treatment. This may be due to decay, infection, or trauma. Teeth are also extracted for orthodontic reasons when there is inadequate space in the jaws to accommodate all teeth. Over-retained teeth on growing children can cause not only pain and discomfort, but ectopic eruption of permanent teeth or impaction, which requires extensive orthodontic correction. As much as we encourage baby teeth to have full chance to fall out naturally, if there are any signs of an abnormal eruption pattern, Dr. Hwang will evaluate and recommend extraction of the tooth to facilitate proper development of your child’s growing smile. As your child grows, you are probably noticing a lot of changes in his or her smile. The jaw grows. Teeth erupt and fall out. Permanent teeth come in. 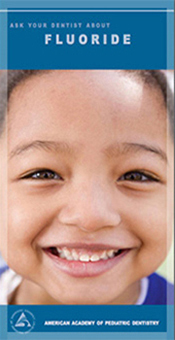 Guidance of eruption and development of the primary, mixed, and permanent dentition is an integral component of comprehensive oral health care for all pediatric dental patients. During the regular dental check up, Dr. Hwang not only checks for cavities but also evaluates the growing dentition for any signs of abnormal bite issues such as crowding, crossbite, missing teeth, or impacted teeth. Proper bite management will prevent your child needing extensive treatment down the road and allows for proper function and aesthetic of your child’s growing smile. Oral habits comprise of nonnutritive sucking habits such as thumb, finger, and pacifier habits as well as bruxing (teeth grinding), tongue thrust swallow and abnormal tongue position. Guidance of eruption and development of primary, mixed, and permanent dentition is an integral component of comprehensive oral health care that we provide at Smile Castle. Nonnutritive sucking behaviors are considered normal in infants and young children. However, prolonged nonnutritive sucking habits with sufficient frequency, duration and intensity may cause deformation of a child’s bite and detrimentally affect the growth of his or her jaws. Early dental visits provide parents with anticipatory guidance to help their children stop their sucking habits by 36 months or younger. At Smile Castle, we have a “binky basket” where your child’s last binky can be dropped off and he or she can get a special prize. 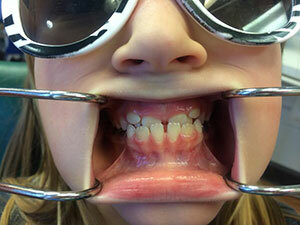 Teeth grinding in children is usually a self-limiting condition that does not progress to adult bruxism. Dr. Hwang will evaluate if there are any physical signs of teeth wear and provide reassurance and/or management as indicated. Abnormal tongue position and/or tongue thrust can be evaluated by Dr. Hwang and appropriate intervention and management along with parental education will be provided. Please ask Dr. Hwang any questions about your child’s oral habit at his/her next dental check-up. She can encourage your child to stop, as well as talk about what happens to the teeth and jaws if your child does not stop. We also offer an appliance therapy to aid stopping such harmful oral habits. Baby teeth (primary teeth) aren't just for chewing. Baby teeth hold space for adult teeth (permanent teeth), and also act as an eruption guide for permanent teeth. Some baby teeth are not replaced until a child is 12 or 14 years old. If a baby tooth is lost too soon due to trauma or infection, the teeth beside it may tilt or drift into the empty space. Teeth in the other jaw may move up or down to fill the gap. When adjacent teeth shift into the empty space, they create a lack of space in the jaw for the permanent teeth. Therefore, permanent teeth are crowded and come in crooked. 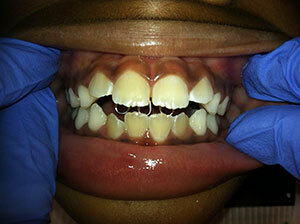 If left untreated, the condition may require extensive orthodontic treatment. 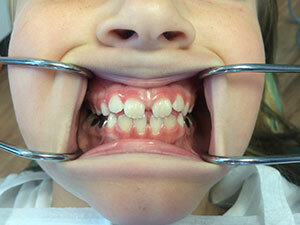 Space maintainers are appliances made of metal or plastic that are custom fit to your child’s mouth. They are small and unobtrusive in appearance. Most children easily adjust to them after the first few days. Space maintainers hold open the empty space left by a lost tooth. They keep the remaining teeth in position, preventing movement until the permanent tooth takes its natural position in the jaw. It is more affordable and easier on your child to keep teeth in normal positions with a space maintainer than to move them back in place with orthodontic treatment in the future. Ask Dr. Hwang for more details about space maintainers. Crossbites, sometimes referred as “under-bites”, are malocclusions where the upper teeth bite inward toward the bottom teeth. Simple anterior crossbites, such as tipping of a tooth due to over-retained baby teeth without any abnormal jaw growth, can be managed at our office. Any crossbite involving craniofacial skeletal disharmony will be referred to an orthodontist for comprehensive orthodontic care. 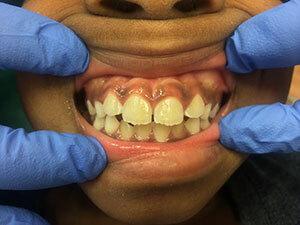 Posterior crossbites on growing children associated with a non-nutritional sucking habit without crowding can be managed at our office with behavioral counseling along with a habit appliance if necessary. At every regular dental visit, Dr. Hwang will evaluate your child’s developing dentition as part of his or her comprehensive oral health care. If you have any specific questions regarding your child’s growing smile, please bring it up to our staff and Dr. Hwang at your child’s next dental check-up. At Smile Castle, we offer a fun and educational experience for our patients and parents. Our staff obtains the cooperation of our child and adolescent patients by using warmth, friendliness, persuasion, humor, charm, gentleness, kindness and understanding. There are several behavior management techniques used by Dr. Hwang and staff during their visit with each patient. 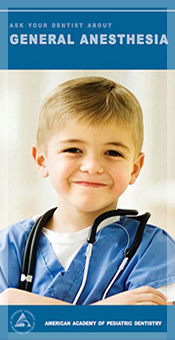 During our new patient visit, we will explore the options that are best for your child. Nitrous oxide, commonly known as “laughing gas” or “happy air”, is a safe and effective behavior management tool that we offer at Smile Castle. It is a blend of two gases - nitrous oxide and oxygen. It is delivered by a nose-piece and uptake occurs through the lungs as your child breaths normally. While a child is breathing nitrous oxide, it gives a sense of well-being and relaxation. It raises the pain threshold and may even make the time appear to pass quickly. Additionally, it works well for children whose gag reflex interferes with dental treatment. The American Academy of Pediatric Dentistry recognizes nitrous oxide sedation as a safe and effective technique to use for helping children tolerate dental care. Your child remains awake, responsive, and breathing on his/her own without assistance. Your child receives more oxygen, compared to normal room air. It begins to work rapidly, and is quickly eliminated from the body after a short period of breathing oxygen, and it has no lingering effects. We have different “flavors,” such as cherry, vanilla, and birthday cake to choose from for the nose-piece to make the "happy air" experience fun and enjoyable for your child. Please inform us of any change to your child’s health and/or any medical conditions. We recommend no food, or a light meal only, for your child for two (2) hours before her/his dental appointment with nitrous. We will evaluate your child’s airway and medical history to make sure that he/she is a good candidate for conscious sedation. Please notify our office of any change in your child’s health and/or any medical conditions. Fever, ear infection, nasal or chest congestion, or recent head trauma could place your child at increased risk for complications. Should your child become ill just prior to a sedation appointment, contact our office to see if it is necessary to postpone the sedation. Food and liquids must be restricted from midnight onward prior to the sedation appointment. Fasting decreases the risk of vomiting and aspirating stomach contents into the lungs, a potentially life-threatening problem. We will not proceed with the sedation if you do not comply with these requirements. We take conscious sedation VERY seriously at our office. Dr. Hwang has completed an anesthesia rotation as part of her pediatric dental training and has her sedation permit in the state of Maryland along with a qualification in Pediatric Advance Life Support (PALS). We monitor patients vital signs throughout the procedure and have an emergency kit ready in order to safely care for your child while he or she is under oral sedation. Parents are invited to stay with the child during conscious sedation just like during any other treatment. Dr. Hwang will discuss all treatment options with you and make recommendations as to what is the best modality to treat your child while keeping them safe and comfortable. Children who are of a young age, have high anxiety, or who have special health needs and who have extensive dental decay may receive a recommendation to have their dental treatment completed in a hospital setting. These cases are done on an outpatient basis at our affiliate MedStar St. Mary’s Hospital. The utilization of the hospital for general anesthesia is an alternative means of providing comprehensive dental care for these patients. General anesthesia renders your child completely asleep. This would be the same as if he/she was having their tonsils removed, ear tubes placed, or a hernia repaired. All necessary dental treatment is performed under an ideal setting and helps prevent the development of a lifelong fear of dentists and dental treatment. Once all of the caries have been addressed, good dietary and home care instructions will be shared for implementation at home for a path to healthy dental habits for your child. Our staff is happy to answer any questions you may have about treatment under general anesthesia.